Summary: Mimi Capurro has been hired to protect New York Times bestselling author, Lauren Silke, who was recently assaulted in the bathroom at a paranormal conference. 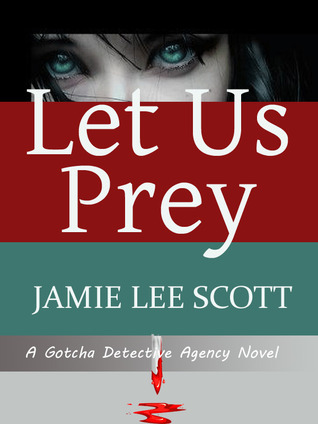 Though Mimi is hired to act as bodyguard for Lauren’s upcoming book tour, plans change when Lauren's assistant is murdered and the slaying is a replica of a scene from Lauren’s newest novel. A novel that hit bookstores the same day as the killing. 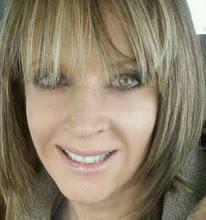 About the author: Jamie was born on the Central Coast of California, where she spent her entire childhood entertaining. She wrote plays and charged admission to her backyard stage so her friends and family could enjoy the performances. She wrote her first novel at the age of 10, for her 5th grade class project. The novel was called Cindy. Busy with horses and school, Jamie rarely wrote through her teens and twenties, she was living a life most dreamed of (well, she dreamed of anyway), competing at barrel races, hanging out with cowboys, and traveling in rodeo circles with her friends. Money was tight, but life was good. Then Jamie met the man of her dreams. And low and behold he was not a cowboy, but a farm boy. They married and he swept her away to her little piece of heaven in Iowa. 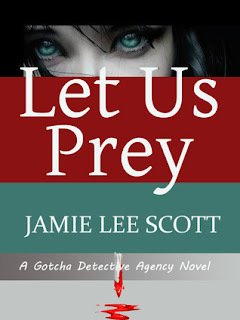 Jamie has written three novels, Let Us Prey, the soon to be released Death of a Sales Rep, and Give a Dog a Bone. She is currently writing screenplays. She is co-founder of Scriptchat on Twitter www.scriptchat.com & TWWriterChat www.tvwriterchat.com, and is the former president of RWA’s screenwriting chapter, Script Scene. Jamie still lives in Iowa (though she visits California as often as possible) with her husband, 2 dogs, 2 cats and 2 horses. She writes with a few from her 6 acre farm. CITY: Las Vegas, Chicago, Los Angeles, oh, and my hometown of Salinas, CA. VACATION: A great hotel near the ocean, with no phones and no computers. Great food. Bob DeRosa - Because he's seems so cool. Thanks so much for having me here today. I appreciate it.